Conformal Coating with Tilt and Rotate for under $48,000!!! Conformal Coating System for under $40,000!!! Find out more about Fluid Dispensing Application Solutions. 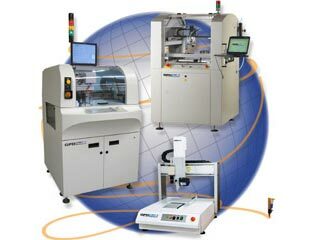 GPD Global designs and manufactures a wide variety of Automatic Fluid Dispensing Systems and Pumps, Conformal Coating Machines, plus SMT Cover Tape Peel Tester and Component Preparation equipment for Thru-Hole applications. We offer premium service and support with a global network, including: North America, Asia-Pacific, Europe, South America and Middle East/Africa. Our equipment provides you with application solutions.